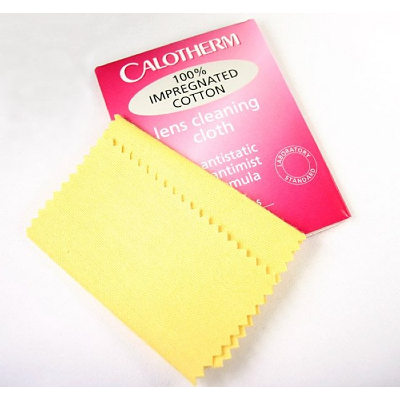 6" x 3" (15cm x 7.5cm approx) lens cleaning cloth. 100% impregnated cotton. In cardboard sleeve. The cloth is impregnated with Calotherm. Offers improved cleaning power for all types of lenses.